Library services provided in the school for the students gives then access to high quality and trusted resources. The library provides individual and group study spaces, a silent study area for those students wishing to study quietly. 50 Students can use the library at a time. More than 1000 books are available in the following heads. Besides Education, food, accommodation and medical facilities are provided free. We supply free text-books, note books and study materials. We see to that they utilize the opportunities to the maximum. 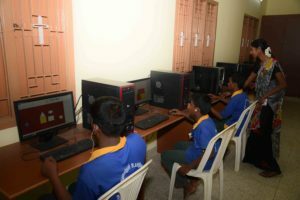 The School provides well equipped computer lab facilities. Our qualified staffs given the computer knowledge to the students. Our student got the first prize in 400 meters Running in State Level Sports 2018. Yoga classes are conducted to reduce their strain. 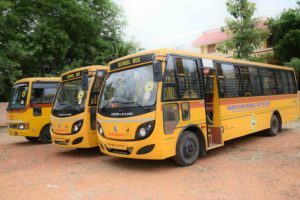 Thanks to “Help the Helpless” a new bus/van has been bought for the deaf-mute children in St.Mary’s, official van trips to offices and to other schools for competing in the academic and sports meets are undertaken both for the students and teachers. 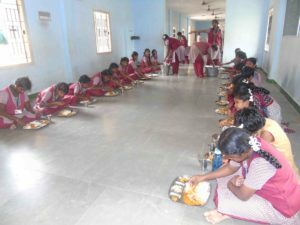 Deaf-Mute children are housed in hostel of St.Mary’s Room are spacy and cots and blankets are provided to the inmates. Water is sufficiently supplied in the hostel. Purified drinking water is always available in the hostel.